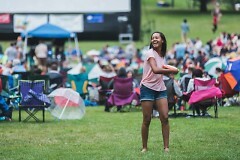 DGRI invites people to vote from a poll of 80 movies to narrow down choices for this coming summer's movies in An-Nab-Awen Park. The poll is open for participation until January 3. 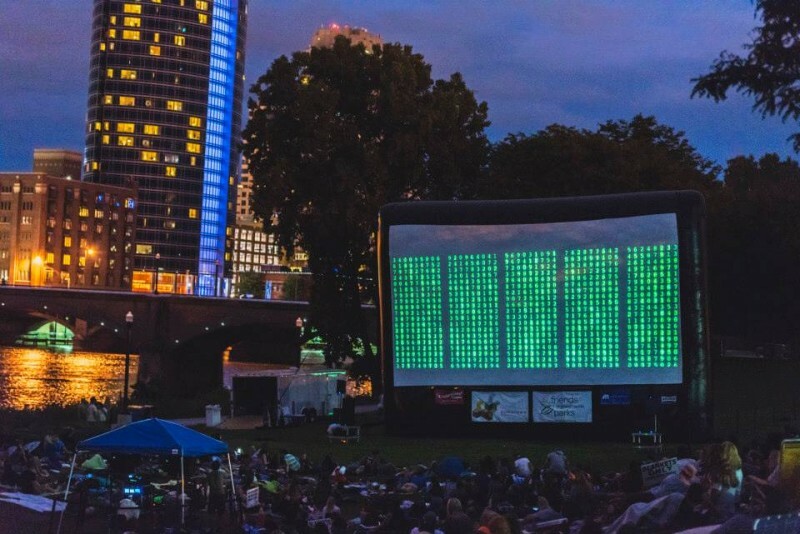 Showing of The Matrix at Movies at the Park /Courtesy of Downtown Grand Rapids Inc. 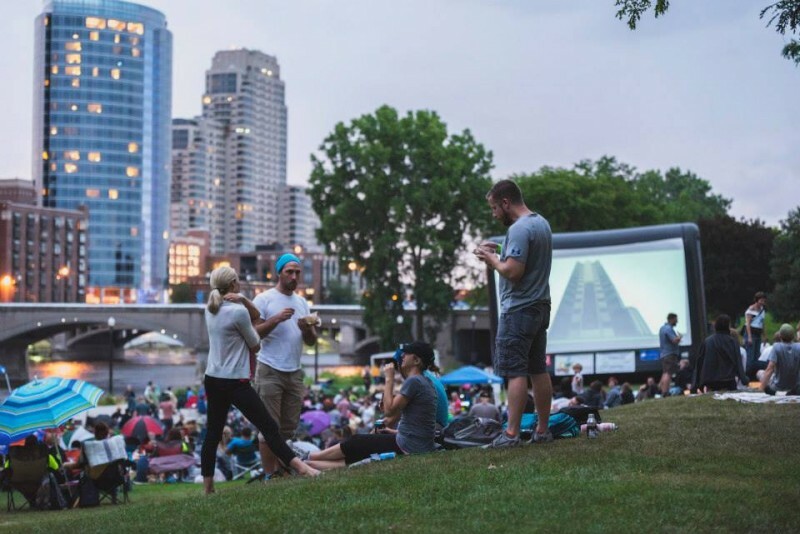 Downtown Grand Rapids Inc. (DGRI) now has a poll open to pick this coming summer's Movies in the Park series. This first round of voting narrows the competition down to 10 movies, with the voting lasting until January 3, 2016. “DGRI aims to directly involve Grand Rapidians in the city-building process and ensure that our investments, projects and activities reflect the community’s priorities and desires for Downtown. Public voting to help pick the film titles for Movies in the Park is one fun way we do that,” says Andy Guy, DGRI’s Chief of Outcomes Officer. "We're advertising open public voting in every Celebration! Cinema theater around metro GR throughout the holidays as well as the UICA and Wealthy Theatre," Guy notes. "So we anticipate the largest voter turnout yet to help pick the Movies in the Park." Last year’s summer series movies included E.T., Dazed and Confused, Dirty Dancing, Hook, The Matrix, The Lost Boys and Ghostbusters. Favorites on the poll for this year include Almost Famous, Breakfast at Tiffany’s, Clueless, Monty Python, Selena, Rocky IV and many others. There are nearly 80 films on the ballot. Last year’s Movies in the Park program brought in an attendance that totalled approximately 31,700 people according to DGRI’s Movies in the Park Economic Impact Report. This was a 67 percent increase over 2014. The summer series has also brought an estimated $664,000 to downtown Grand Rapids. Vote in the Survey Monkey poll here by January 3, 2016.